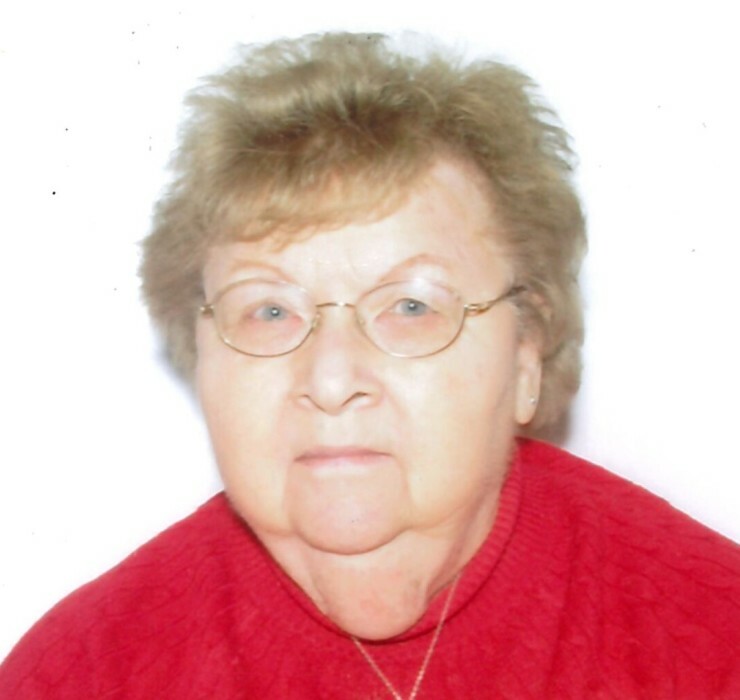 Betty L. Burgdorf Riggs, 84, of Carmel, passed away January 17, 2019. She was born April 17, 1934, in Kiel, WI, daughter of Alvin and Leila Hiller Burgdorf. Betty was a 1952 graduate of Beaver Dam High School. For several years, she worked for Kraft Foods. Betty and her husband, David, moved to New Jersey in 1954, where they started their family. Later they moved to Scottsdale, AZ and Betty resided there until 1997, when she moved to Carmel, IN. Betty was very social and enjoyed being around people. Oftentimes, she would simply sit back and enjoy watching life unfold around her. Her family was the pride and joy of her life. She especially adored her grandchildren and would ensure treats and snacks were always available in her home. She enjoyed sewing, knitting, and crocheting. In her earlier years, she sewed much of her children’s clothing, and later she would create curtains and pillows for home decoration. Her knitting and crocheting included beautiful baby blankets, hats, prayer shawls, sweaters, and afghans for gifts. For many years, Betty worked as a Nurse’s Aide in a nursing home taking loving care of their residents. She also volunteered as a baby-rocker in the NICU and Maternity Ward in hospitals. Betty was well loved by the students and staff as she served as lunch lady in schools. In addition to her parents, Betty was preceded in death by her loving husband of 37 years, David L. Riggs; sisters, Marion Mace and Lois Jezyk. Survivors include her children; Shelley Tyma of Mesa, AZ, Jeffrey Riggs of Yuma, AZ, and Mindy (Jon) Jasin of Carmel, IN; grandsons, Joshua (Jody) Pearce of Mesa, AZ, and Joseph, Thomas, Nicholas and Christopher Jasin of Carmel, IN; granddaughters, Corrine Pearce of Mesa, AZ, and Molly Riggs of Yuma, AZ; great-grandchildren, Parker, Bailey and Ryker. 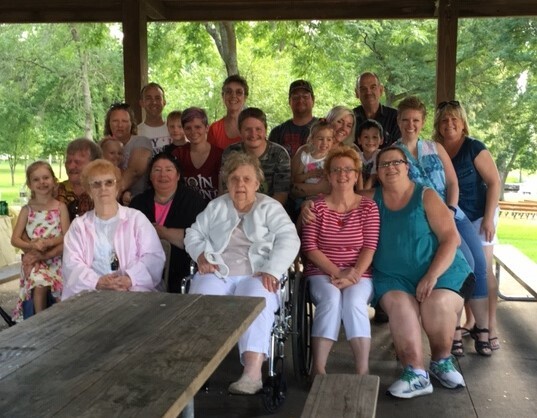 The family of Betty would like to express their appreciation to the management of Sanders Glen, Westfield and Manor Care at Summer Trace, Carmel for their kind and loving care over the last 4-1/2 years. A private service is being held by the family. 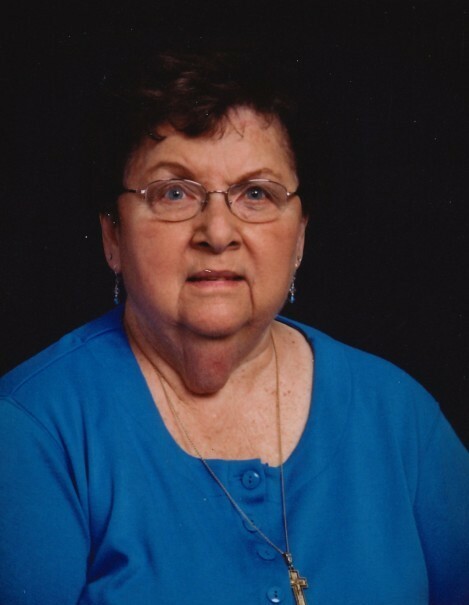 In lieu of flowers, the family requests donations in memory of Betty, be directed to the American Cancer Society, 5635 West 96th Street Suite 100, Indianapolis, IN 46278. Bussell Family Funerals, Carmel-Westfield is privileged to assist the family in arrangements.